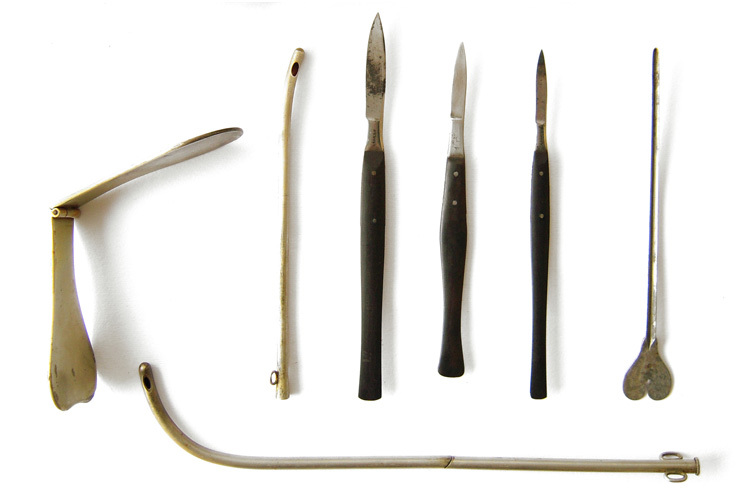 Antique leather Surgical Trousse marked "Vitry-Freres" with the follow contents: 3 different sized ebony handles scalpel, a probe, a rare folding catheter, a small catheter, and finally a rare folding tongue depressor. 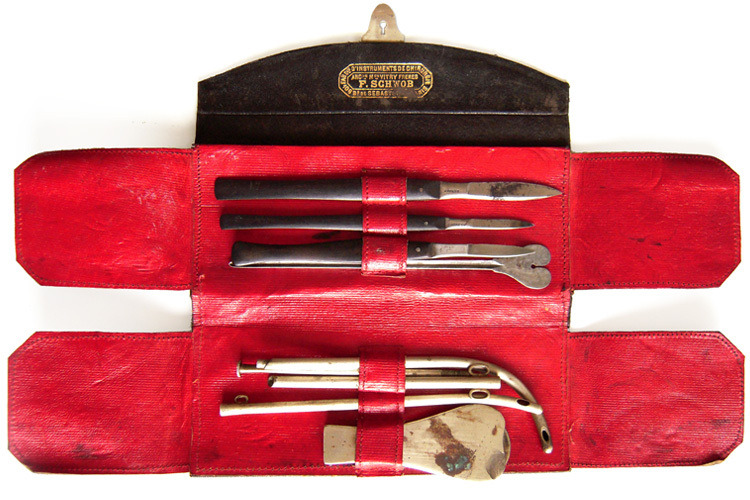 All objects are made in Maillechort,a special alloy of zinc and nickel-looking like silver. 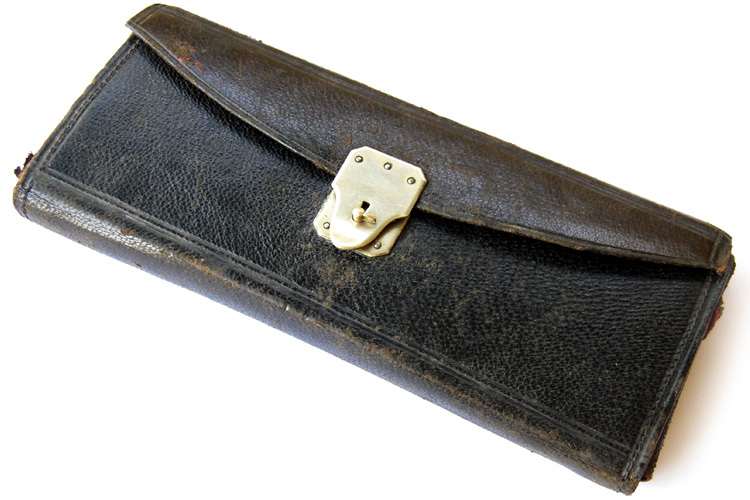 Dated the second half of 19th century.